We are centred around the Village of Rosliston in south Derbyshire, where we hold our regular monthly social meetings at The Bull’s Head, Burton Rd. We meet the 1st Tuesday of every month at 7.30pm for a quick chat and the business meeting from 8pm. 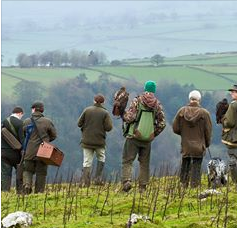 We hold organised field meets every season and have a range of guest speakers and activities throughout the year.